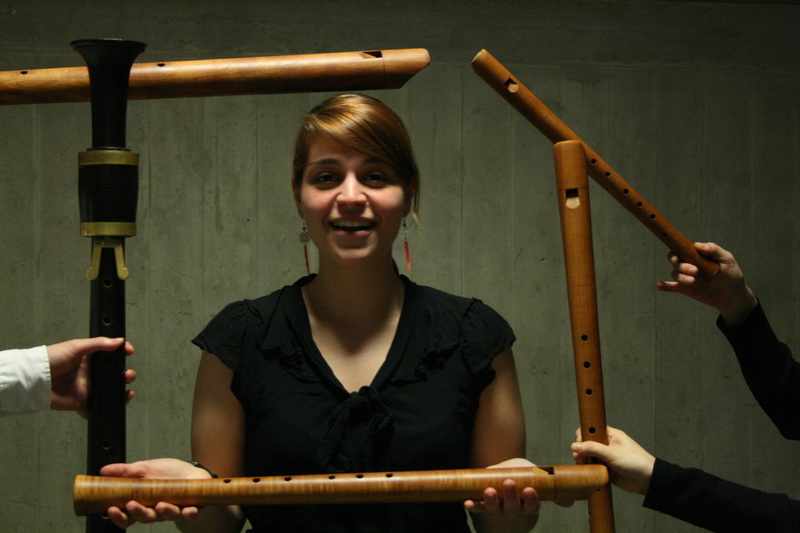 Block6 The Hague is a recorder ensemble with 6 players from different background and origin. Players studied at the Royal Conservatory of The Hague and come from Korea, France, Japan, Netherlands and Switzerland bringing an appealing diversity. Daniel Brüggen, who is a consort specialist and member of the Loeki Stardust Quartet, coaches the group. 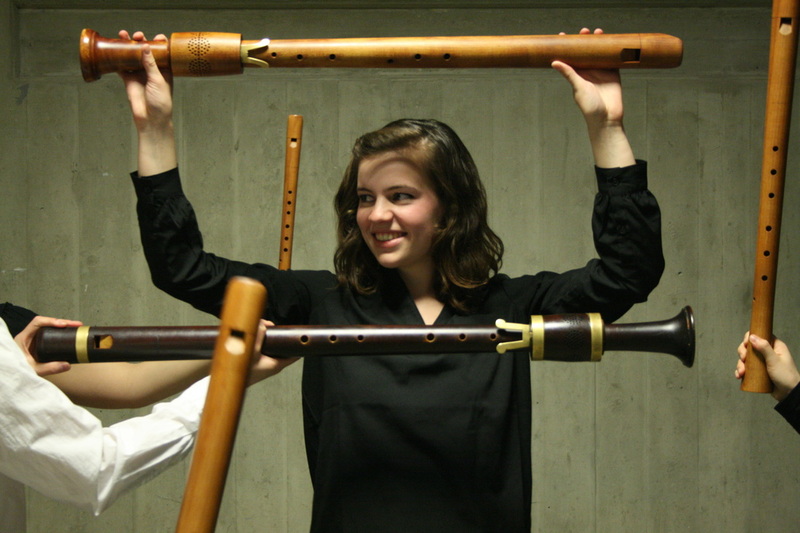 The repertoire consists of mainly renaissance music and is performed on copies of recorders that were in use during this period. 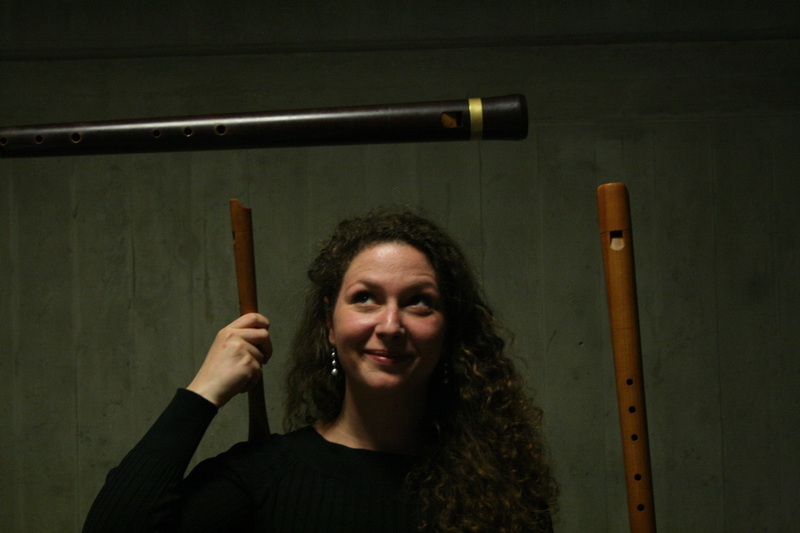 In sixteenth and seventeenth centuries, recorder was used mainly as a consort instrument. Musicians tried to imitate the a cappella choir with homogeneous instrumental consort. 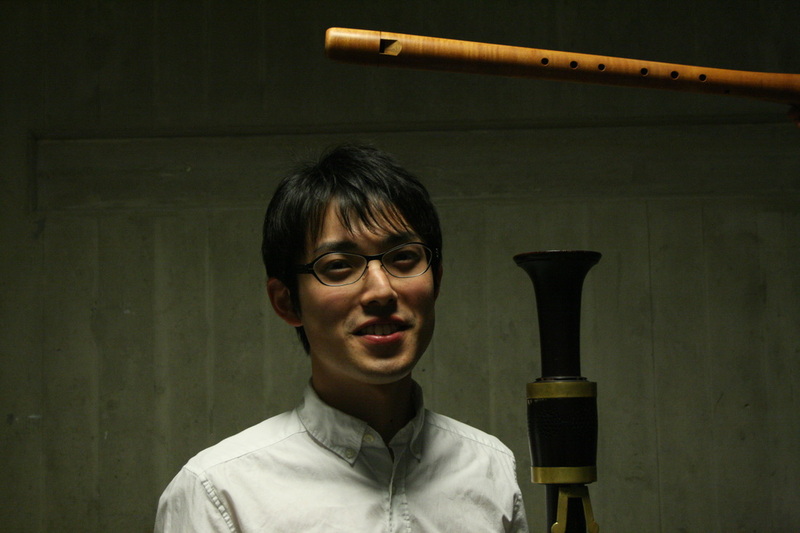 The wide bore of the renaissance recorder makes the sound deeper and it has rich overtones. Which is nice to play in ensemble and mixed with voice or other instruments as well. The instruments we are using are quite special. They were made together as a family by one maker. That makes us easy to mix the sounds and helps the chords to be in pure. 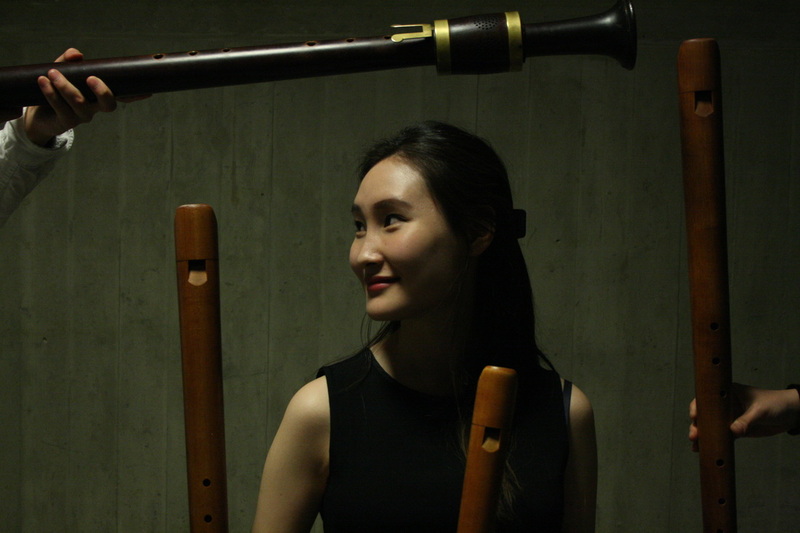 This consort recorders have a range of an octave and a sixth with “Ganassi “fingerings. Silvestro Ganassi (1492 - ca.1550) who was an Italian musician and composer also mentioned the choosing and combination of the instruments as well. 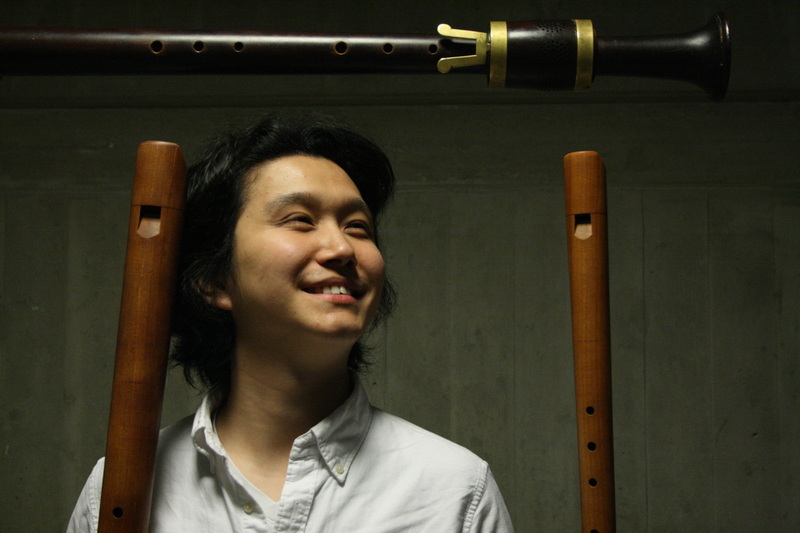 In his recorder method,“Fontegara(1535)”, he suggested to use three different instruments by fifth intervals for one form of a consort: Alto in G, Tenor in C and Bass in F. However we need more because of six part music and responding a lot of possibilities for instrumental combination. Our consort set contains: Soprano in C, Alto in G and F, Tenor in C, Basset in G and F, Bass in C and F, etc. Playing 6 recorders together is a challenging and enriching experience. It can bring about magical moments, which we want to share with you. of The Hague with "Kemvo" and also gives private lessons. from the Korean National University of Arts in 2011.
in The Hague, where he finished his master degree and graduated. in Music at the Zürcher Hochschule der Künste in June2013. she also studies the baroque oboe with Frank de Bruine. playing a concert with HanTol and the Leids Barok Ensemble. fingerings in the eighteenth century. Veronica Tollenaar was born in Amsterdam in 1992.
department of the Royal Conservatoire of The Hague. Manuel Staropoli, Ugo Nastrucci, Kees Boeke and Dan Laurin.